On January 2nd, Mulography will be 2-years-old. This time last year the blog had been silent for nearly two months; quite simply, because I was too miserable to write anything. Things with Marty were not going well and, after being repeatedly disappointed, I had just about run out of hope. I found myself caught between feeling dread at the thought of having to work with him, and guilt at not doing so. A very agitated Marty in March 2015, refusing to be caught and running around being horrible to everyone instead. I’d almost forgotten that he used to do this. In February I posted about my plan to fix things. That was unusually proactive of me and was one of the best things I could have done! Getting physical problems ruled out meant that he could go off for training with Anna Bonnage, and the skills he and I learnt from her made the last five months of 2016 the best we’ve ever had. He is a very different mule from the one he was 365 days ago. Marty and I in the Punchbowl, January 2015. Improving things with Marty has also improved Mulography. 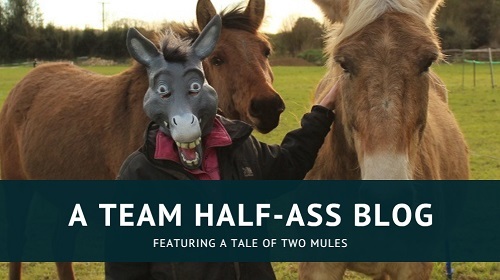 I started sharing Mule Tales in March, which proved to be a very popular move, and have managed to stick to a self-imposed schedule of three posts a week: one Mule Tale, one personal update, and one anything-goes. With the arrival of Xato it has switched to two personal updates because I have so much I want to talk about! 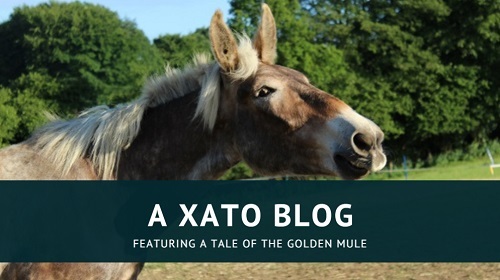 This blog has given me so many things – Xato being the most notable of all. Owning two mules wasn’t really part of my plan, but we’re managing so far. 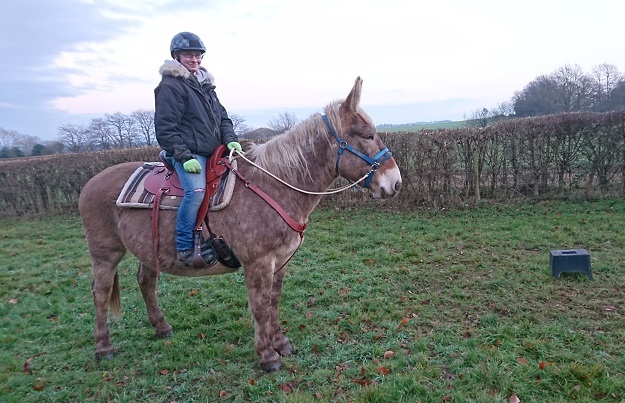 I am ridiculously happy to be entering a new year alongside a mule with whom I might actually be able to achieve something. 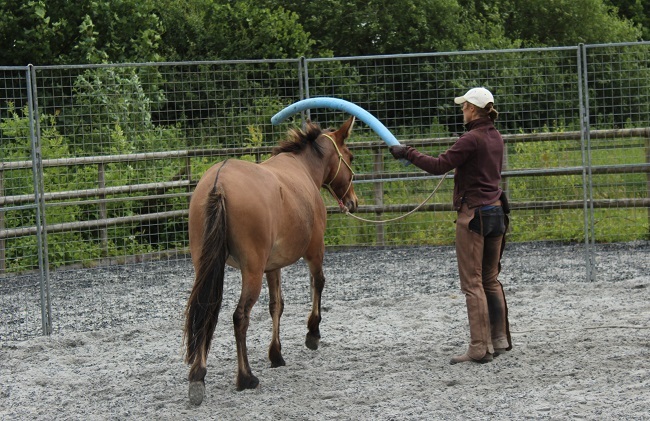 The more time I spend with him, the more able I am to see all the great things people have been telling me about mules. I got glimpses of it with Marty, but it was never quite tangible; it was always just beyond my reach. 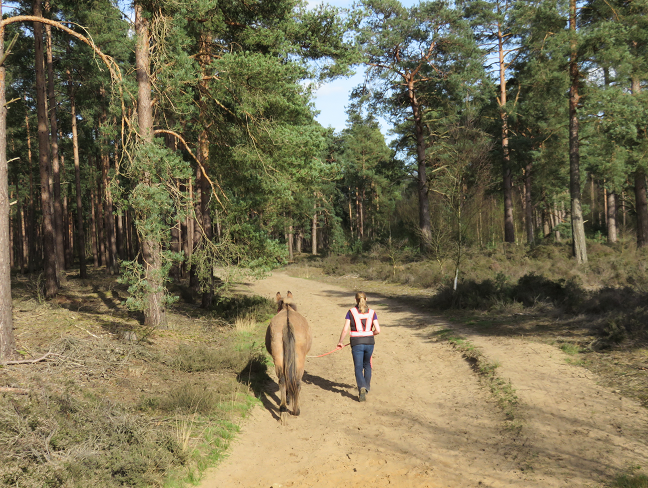 Running Mulography has helped me in my new role as the editor for the British Mule Society‘s journal, and – fingers crossed – will have also given me a big opportunity which I will talk about at a later date if all goes to plan! Marty with Anna in July 2016. It has also given me the skill of critical thinking. 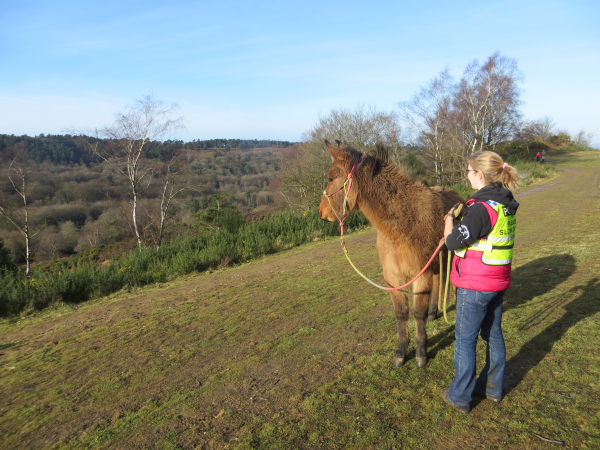 Although this has never been a training blog, I like to talk about the things we do and try to explain the reasoning behind them as well as I can. If someone disagrees with a statement I make, can I defend it? If I can’t defend it, why am I doing it in the first place? This has given me an added awareness to everything I do with Marty and Xato. I find myself asking: if I had to explain this to someone, would I be satisfied with the answer? Sometimes I’m not! I then have to consider why the argument is poor, and either find a better explanation or use a better technique. What I’m trying to say, amongst all this blah-blah, is that there is always a benefit to writing about things you care about. Writing will help you to think things through and sharing your experience can help you find and become part of a community. You don’t have to be the best at what you’re doing or have all of the answers; if you care about it, and are honest about it, that will come through. It might even help to open doors that you didn’t know were there. Xato and I, on the last day of 2016. Xato is looking at a gate that he definitely knows is there. You are singing from the right hymn sheet Sari! Thank you Ruth, that’s really kind of you to say! Hi; I live in the U.S. (soon to be known, sadly, as Trumpdom) in south-central Missouri. I have never had a mule, but have been in love with them for decades. 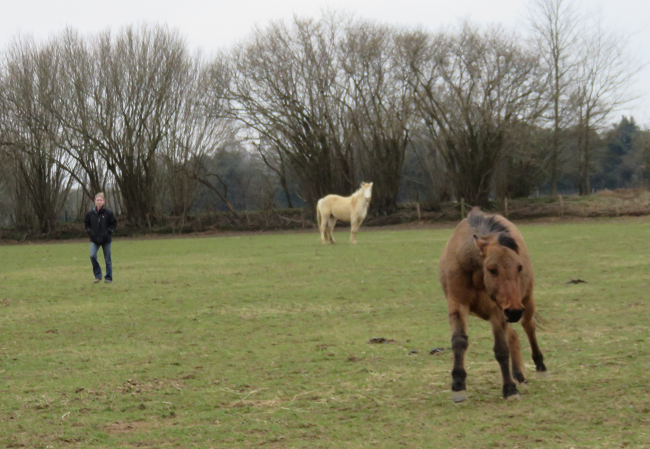 I think they are so much more interesting than horses, and some of them are SO beautiful! And of course, Missouri is known for providing hundreds of thousands of mules for the military in WWI. Hardly anyone here has them now, since they’re not needed for farm work, etc. People make fun of them, which says more about the people than the mules! Anyway, I recently discovered you blog, and just wanted to say “Hi”. I look forward to reading more about your mule adventures, and am so jealous. Thank you so much for your comment! I have heard many good things about the Missouri mule. Am I right in thinking that it was in Missouri where the American mule began? Such a shame to hear that they are no longer popular; I often imagine America to be full of mule lovers, but of course, that isn’t the case everywhere! You are absolutely right and I will need to remember that phrase about peoples’ poor opinions of mules saying more about them than the mule. In the UK they are not well understood at all and many people hold misconceptions of them. I’m really pleased you enjoy the blog and I appreciate you saying hello!